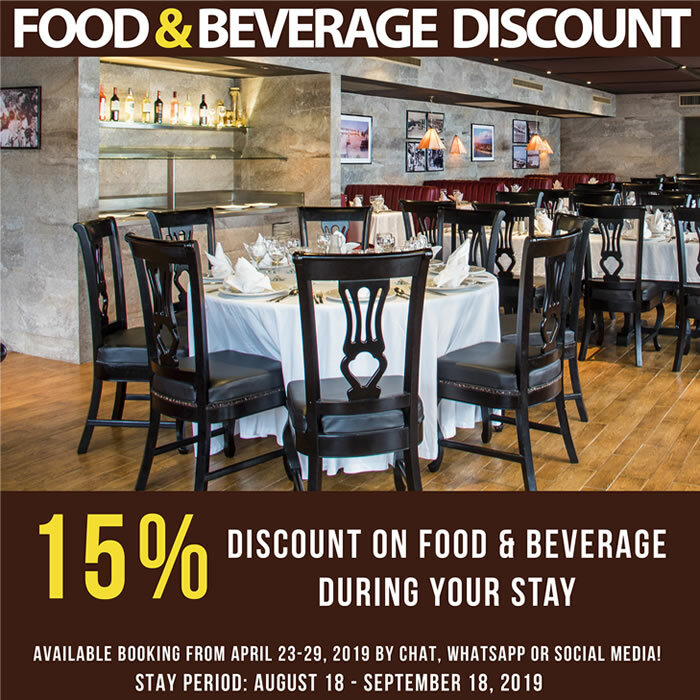 All promotions are available booking from April 23-29, 2019 by CHAT, WHATSAPP or SOCIAL MEDIA! * Promotions can not be combined. Not be available in “High Season” (Holidays, Carnival, Easter Week, Summer, Marathon, Christmas and New Year). Promotions subject to change without notice. 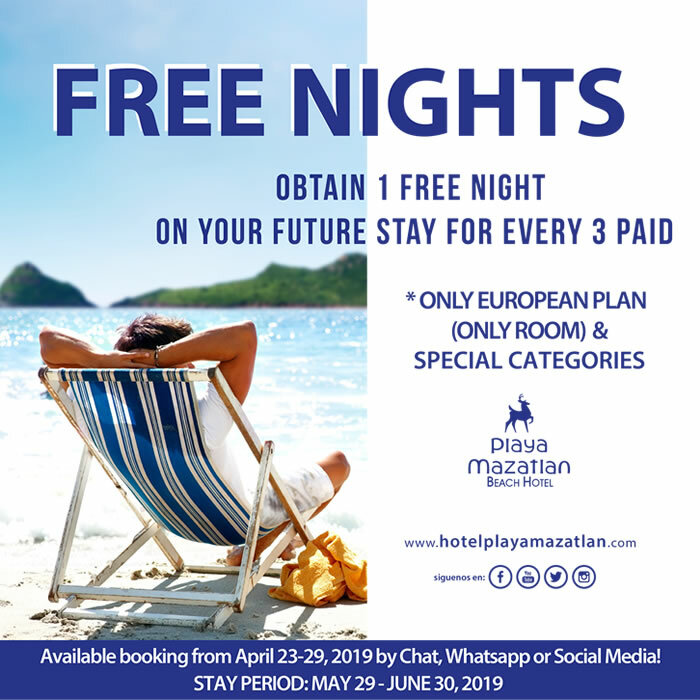 ** Free nights: obtain 1 free night on your future stay for every 3 paid (only European Plan, special categories). 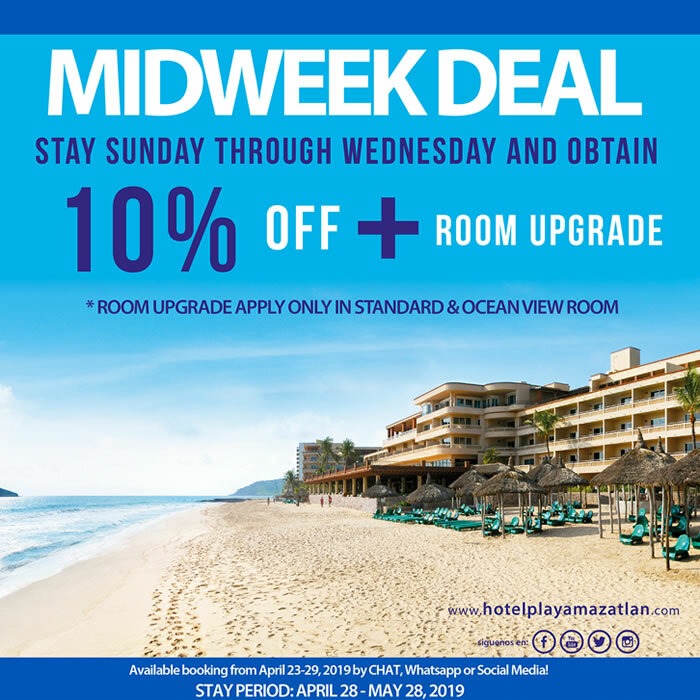 *** Midweak Deal: the discount applies to the cost of the room (not food). Apply in European or All-Inclusive Plan. 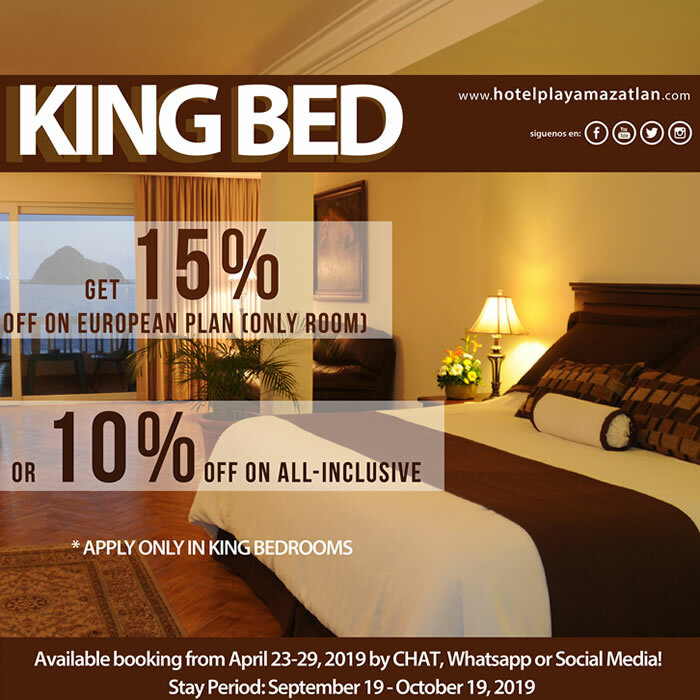 **** King Bed: get 15% or 10% Off. The discount applies to the cost of the room (not food). Apply in European or All-Inclusive Plan. 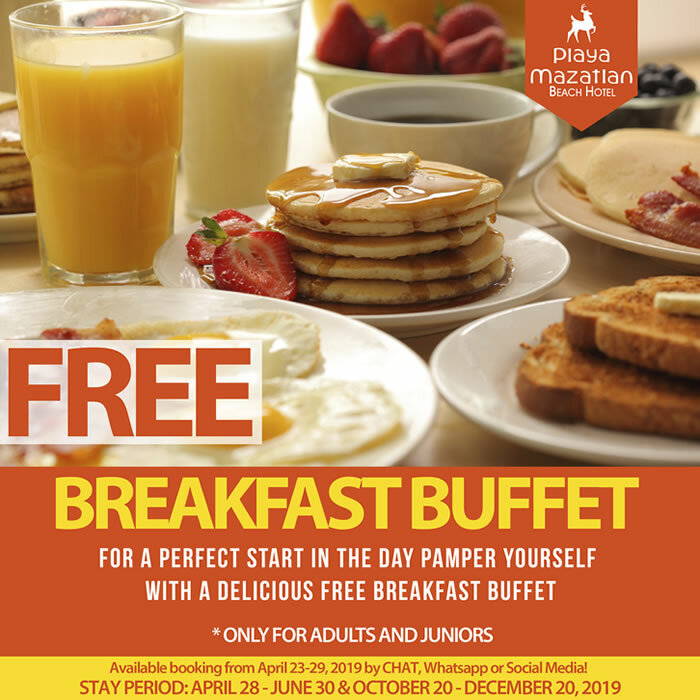 ***** Free Breakfast Buffet (adults & juniors only). ****** Special Categories are Deluxe Room, Junior Suite & Boutiques.